Nature is always evolving and is so complex that diseases and cancer is unable to be treated with chemical synthesis. There are many rare plants and seeds that have the potential for this synthesis that most pharmaceutical companies have. This issue with this is extracting them is that because they are so rare, they may go extinct if used too much, and using them is environmentally damaging and causes piles of chemical waste when used. The goal is to find and use more sustainable product methods because of these facts and the fact that the UN recently implemented a law that protects biodiversity and these raw materials in third world counties because they are so rare. The way that these plant chemicals are used is through a bio-catalytic process. The goals of the MIAMi reasearch project is to find an alternative solution for the environment and plants that pharmaceutical companies can use. They are trying to use bakers yeast as this replacement. Chinese snake root already produces anti-cancer compounds but the bio synthetic pathways are unknown. The idea is that if the genetic route is found, the genes can be moved into bakers yeast. The continuing goal is to be able to take those genes, put them into the yeast, which will be able to produce large amounts of the specific therapeutic substances. This is needed and soon because over the last few decades, the bio active substances used in this research has slowly been used up. We need to find new materials and new ways to use them for both existing and new diseases. This is a very tough situation because on one hand, there is the fact that we are quickly running out of biological substances and on the other, there are constantly diseases that are killing people and cancers that are always evolving. To me, the immediate issue is what should be worried about. If we are unable to to continue doing research and finding cures, we will save some plants that may be important but we will lose countless lives and these diseases may evolve to the point where there is no return. Hopefully this new way using the yeast will allow both of these to occur and not have to worry about the chemical waste or loss of life. This is interesting. For all of the cancer treatments currently available, I am curious to see how this compound actually produces therapeutic effects in humans and if there are any side effects. It is very unfortunate that these substances are running out, because it can make it hard to use them or to study them. 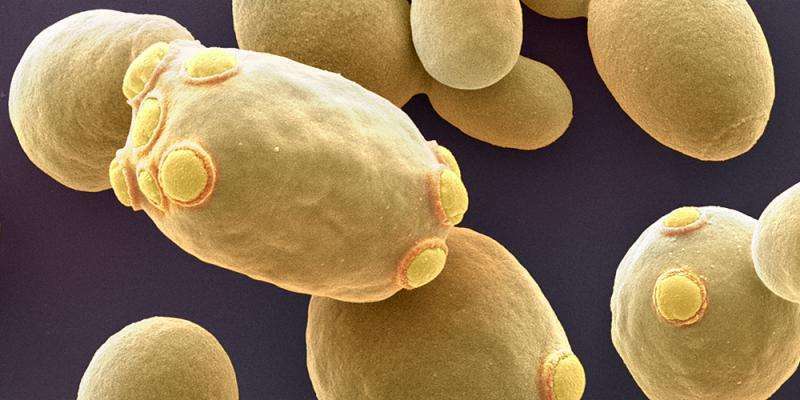 The yeast component is very interesting and I believe with the technology we have today, eventually the genetic route can be find and we can dive more deeply into this study.